Doesn’t this time of year seem to move faster than other months? One minute you’re handing out candy to costumed kids in your neighborhood, and the next you’re ringing in the new year. In the meantime, you’re adding more things to your “To Do” list then subtracting them. 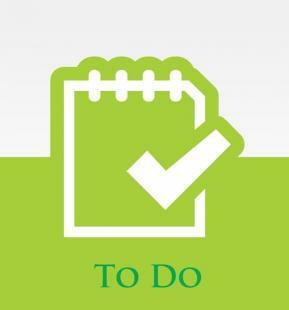 With less than 30 working days remaining before the new year, quick and simple solutions are even more valuable in helping you keep that “To Do” list manageable. And if those solutions ensure your training budget remains intact for the new year, all the better! Fortunately, getting quality training content quickly is what OpenSesame is all about. 30 days is more than enough time to get fresh content into your training program before 2015. OpenSesame partners with more than 400 content providers to ensure we have the widest variety of high quality elearning courses in the topics you need. Plus, our flexible and customizable purchasing options, from subscriptions to pay-as-you-go, help you get what’s best for your employees on any budget—no lengthy contract negotiations required. Want to squeeze in an email etiquette course for your employees in this season of high-volume customer service requests? No problem! If you know how many seats you need, simply purchase the required seats directly through our site. Not sure about your usage numbers? Our team can get you set up on pay-per-use, where you can set a budget and pay only for the seats you use. For those that need training in many topic areas, consider purchasing subscriptions through our OpenSesame Plus program. No matter how you choose to purchase, our courses can integrate with any learning management system, significantly reducing your technical headaches. All it takes is five minutes to check off these two to-dos. Simply sign-up for our Course Concierge service and we’ll help match courses to your requirements for free. Give yourself the satisfaction of checking items of your list AND looking extra-bright to your boss this holiday season!